One of the most rewarding things in writing a blog has been, maybe a bit surprisingly aswell, visiting other blogs. I have learned alot while sharing what I have learned. Other day I visited a blog called Awfullybigblogadventure. By lucky coincidence, I found a text writen by Leslie Wilson starting by finding resemblances between Toves True Deceiver novel and the moomin books. "(...)But I was interested to read, in Ali Smith’s introduction to the novel, that the Moomins are ‘a community of big-nosed, inventive, good-natured beings who survive the storms and existentialisms of a dark Scandinavian winter by simply being mild, kind, inclusive, and philosophical." "(...)reading The True Deceiver, it struck me that there was more than a passing resemblance between it and the children’s books." "When I think about it, it’s usually fillyjonks who fall prey to such horrors. Like the one in Moominvalley in November, who almost kills herself cleaning her windows. They also have moments of blinding illumination about what really matters – not the belongings that have previously circumscribed their lives, and sometimes not the people they used to revere or the things they thought they liked." "I do think the Moomins were maybe one of the most important children’s books I read, I still adore them. I’ll read anything I can get hold of from Jansson. And if anyone wants to join me in demanding a reissue of her memoir Sculptor’s Daughter, please email Sort of Books as I’ve done and ask them to publish it!" I too am a great admirer. 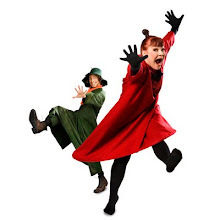 Toves moomin characters are incredible fysical and she has been very precise when actually writing her characters to dance. Whether it was just crawling on the beach or dancing mambo with a king, she knew excatly what she wanted to expres with the movements. This is what I have been trying to study while re-reading Toves Tales from Moominvalley during these last two years. 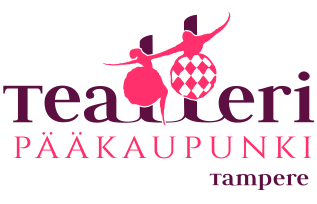 I work as a choreographer here in Finland. 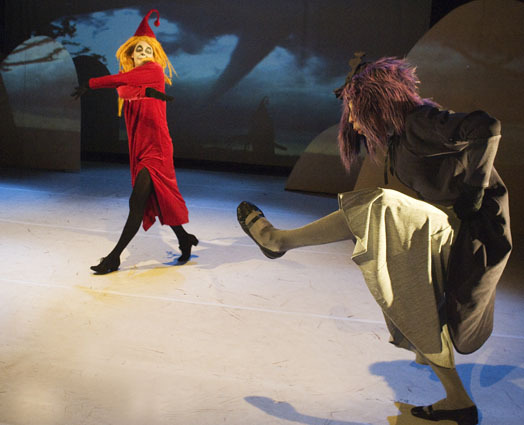 We have just recently premiered a contemporary dance adaptation based on Toves Tales from Moominvalley. And we are thrilled about it. As a devoted reader You might be at first shocked by the very idea of turning Toves extraordinary beautiful tales into the contemporary dance theatre. But I believe we have managed to bring up something very profound and relevant at Toves work. - The very fysicality of these characters. The way they move. The dances they dance. The individual body languages. This all has been an enormous adventure and a great pleasure for the whole Dancing Moominvalley team. Eventually we found out that Moomins are quite excellent and versatile dancers. We'll see. I have read the Sculptor’s Daughter only in Finnish, but do agree they should publish it in English aswell. Hope reading more soon again.